In 1980 the school registered with the N.S.W. Education Department as Newcastle Rudolf Steiner School and opened its doors for eighteen pupils and two teachers in rented premises at Adamstown. In 1982 the school moved to its permanent home at Glendale. This originally consisted of a small cottage and several acres of concrete on which were turkey sheds. In the ensuing years the degraded land has slowly been transformed into four acres of vegetable, flower and herb gardens, beehives, paddocks for a cow, sheep, ducks and bantams, orchards of fruit trees and vines, and playing areas, sandpits, grass and shady trees. In 1984 a separate kindergarten was built that was also used as a venue for school assemblies, concerts, plays, parent talks, and orchestra practice. In 1986 another primary school room was added to the primary complex. In 1987 a separate high school building with two classrooms and a storeroom was constructed. In 1989 a laboratory and a store room was added to the high school. In 1991 a new complex consisting of a kitchen, art room and library was commenced by the teachers with the help of some of the older students, who also assisted with the stained glass windows, tiling and other ongoing art work within the building. In 1995 a Federal Government Grant enabled the building and equipping of a new workshop in the place of the demolished former sheds. This has now been transformed into the painting and printing room. In 1997 the school purchased the adjoining house on a two acre block which was the site of horse stables. The house is now the school office. In 1998 the fountain was designed and built by students and teachers, and a new lunch area added. 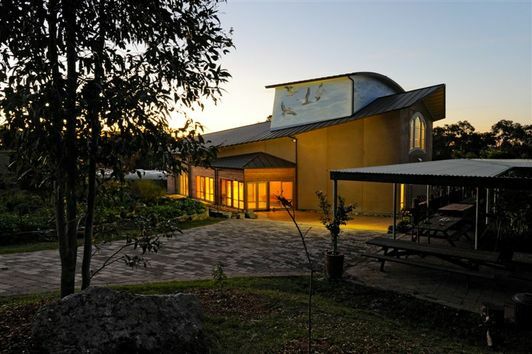 In 2001 the stables were demolished and a design and technology complex and multi-media facility were erected, which included a computer room, wood and metal workshops and a ceramics classroom that were designed, built and beautified by students and members of the College of Teachers. In 2007 roofing for the lunch area was constructed with the help of Commonwealth funding. In 2008 the new toilet facilities were built and the old site used to build a music practise room, laundry and storerooms, with the help of Commonwealth funding. In 2009 design began and in 2011 construction of the School’s multi-purpose award winning hall was completed under the Commonwealth BER program. Conceptual designs for senior rooms began 2012, council approval through 2013 and footings poured over Christmas holidays. With some delays in 2014 it was early 2015 that we moved into these two very aesthetic and workable spaces. It was also 2014 that we began delivering the HSC to a small cohort of students. Parents and friends began a playgroup around 2004. 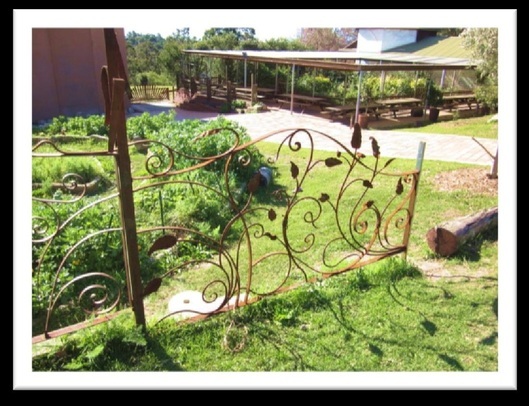 A few years back this took its habitation at the school's nearby property and has lately been christened, "Garden Elves". Courtesy of their interest, in 2018 with robust numbers, we commenced our first single stream class one and mid year, with high spirits have also split class "seven and eight" into two single stream classes, "seven" and "eight", each with a dedicated and collaborative class guardian for their remaining years. Concurrently we have begun plans for a Music block with three rooms opening late 2019 and are in the conceptual stages for opening a preschool late 2020.